. Jackie's Journeying part 2 . This record completes our tribute to a much-loved friend and (now!) deacon. her on her way with hope and confidence. We all have proud moments in our lives, passing exams, winning an award, having a piece of art exhibited, having children, watching them grow and achieving things in their own right, the cycle then continues with grandchildren. My grandchildren are not of an age yet to give our family the next generation and God willing I will live long enough to see this happen. 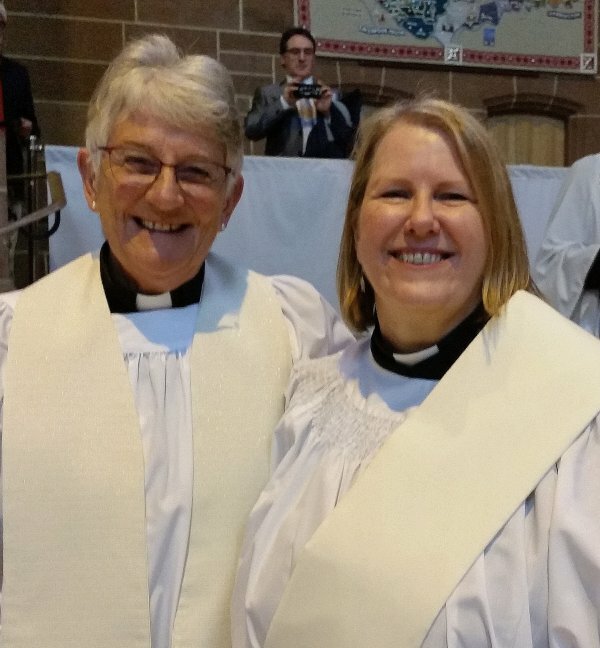 On June 25th this year I was invited to present Jackie Parry for ordination to the ministry of deacon. This was a very proud moment for me and I enjoyed it all, the service, the choice of hymns, the presentation and particularly the laying on of hands, that was very moving and brought tears pouring down my cheeks, as I looked around I was not the only one affected by this, the sniffing was audible. Several weeks before the service, those of us presenting candidates received instructions informing us where to sit, how we were to process and a printed card which was to be read verbatim when addressing the Bishop. Unfortunately, I thought, St Faith's Church was not mentioned ,only the church Jackie was going to, which is, as most of us know, is St.Luke's church in Crosby where Jackie will spend the next four years on placement. The big day arrived, we had to be at the Cathedral for 9.15 a.m. 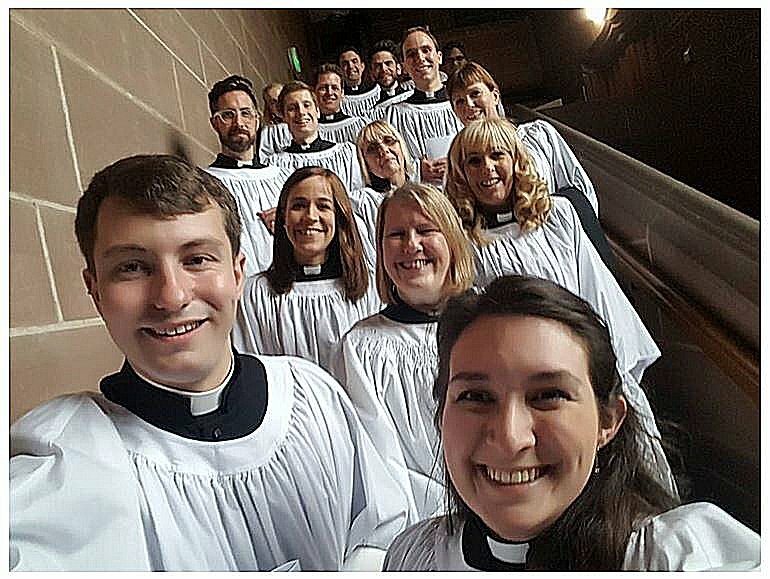 When we arrived there was a distinct buzz about the place, The organist was going through bits of music, the choir were practising,families and friends were arriving, being greeted by the ordinands with much hugging and kissing. We were shown to our seats whilst people "gowned up". I was then asked to get ready to process with Jackie from the chapel to the Altar rail, we had been given the order in which to walk. Jackie was nervous but very excited. I presented Jackie to the Bishop and returned to my seat. I had a good view of the full service and found it all very moving. After the service we boarded our coach and were taken to the church hall at St Faith's where we enjoyed an excellent buffet served impeccably by the catering team (thank you to them!). I had the opportunity to meet and chat to some of Jackie's family, friends, colleagues and parishioners from the past. Presents from the congregation and clergy were given to Jackie; she was very moved. She deserves every bit of it, she has waited a long time for this and has worked hard whilst working full time and bringing up her boys. June 25th 2017 will go down as one of my proud moments. Well, I finally did it! After what has been a long, and often emotional, journey, I’m now ordained Deacon and serving my licence as Curate at St Luke’s, Crosby. It has, indeed, been a long journey, but one that I’m so glad to have travelled on. I feel very privileged and blessed that God called me to this ministry and, although it’s only been a couple of weeks since ordination, I’m still feeling on a high and trying to get used to being called Rev! St Luke’s is going well; everyone is very friendly and I believe that I will learn a lot there. The worship style is very different from St Faith’s, but works well and is warm, friendly and very lively. I will write more about my experiences as I get more involved in the day to day life at St Luke’s, and also about my last few months of training, but I just wanted to write first to say how an enormous thank you to you all, both at St Faith’s and St Mary’s. I first telephoned Fr Richard Capper early in 1984, to ask if my son Edd could be baptised there, (Jonnie and Jay’s baptisms followed, and latterly my granddaughter Scarlett, who journeyed all the way from Australia to be baptised in St Faith's). 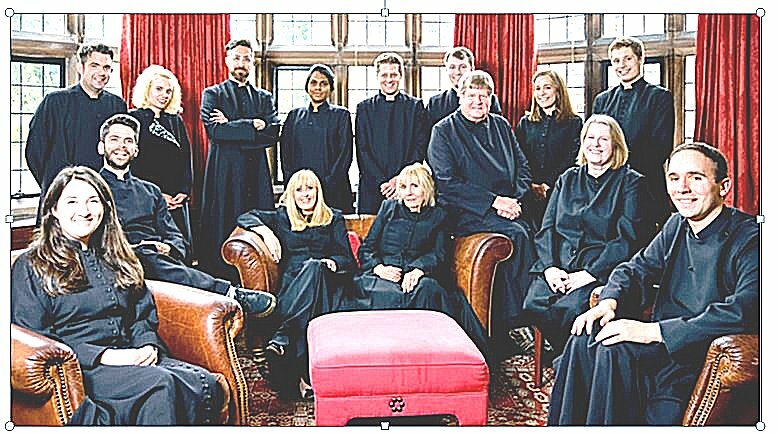 Since that first telephone call, St Faith’s has been such a huge and important part of my life, and that of my family. We received such a warm and friendly welcome that we felt this was a church where we could put down roots. Little did I know then that this was to be the first step on my journey in exploring my faith, then Reader ministry, and finally to ordination. As I reflect back, I can see how truly blessed my family and I have been to be a part of the family of St Faith’s. The Christian love and support given to us all over the years has been wonderful; my daughter in law, Bridie, still talks about the warm and friendly welcome she received at St Faith’s when she and Edd brought my granddaughter Scarlett to be baptised in St Faith’s last year. And the continued love, support and prayers I have received since I started training has certainly helped and encouraged me, and I just want to give a special note of love and thanks to my surrogate “mum and dad” (you know who you are!) for always believing in me. 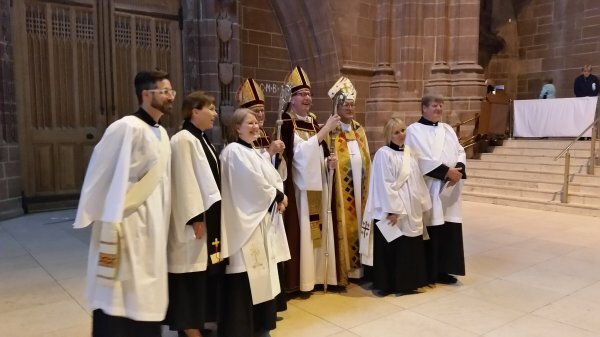 My ordination was amazing; a truly special moment in my life, and made even more special by being surrounded by my family, friends, and the family of St Faith’s. Words could not express how thankful I am to you all; for the support, the prayers, the encouragement, the cards and gifts, the party afterwards (a most excellent 'do'! ), the laughter, the love shared, and quite simply, for being there! From the bottom of my heart, thank you so very, very much. I miss you all, but will be in touch!